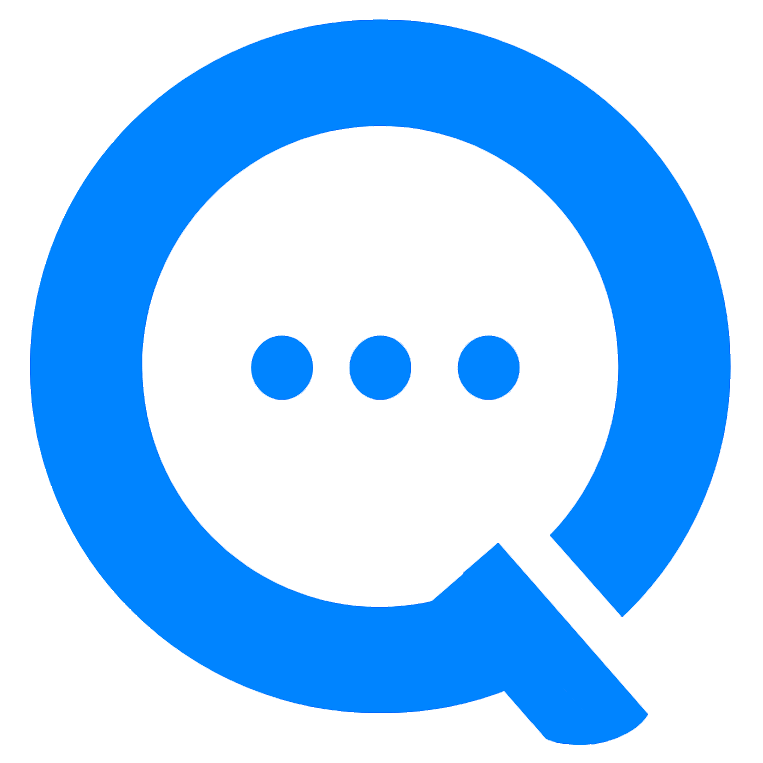 Your Qonvo automated assistant can ask the right questions, get a feel for your customer's needs, handle the easy tasks and seamlessly introduce the right expert to help them with the more complex items. We get it - your current WebChat solution isn't cutting it. To put it bluntly, Qonvo is just a better mousetrap. Let us show you why. You've put a lot of time and effort into your online branding - we provide you the tools that you need to design your Qonvo webchat app to complement and play nicely with all aspects of your websites and mobile apps. Train your automated assistant to work for you 24x7 with automated replies for common questions and sophisticated skills for handling appointment booking, customer feedback, lead qualification and so much more. We provide you with messaging tools designed specifically for business - send receipts, contact info forms, payment forms, product carousels ... all right in the webchat message stream. Your web visitors come and go - but the conversation doesn't have to end when users close a tab or click away from your site. We give you the tools to continue the conversation. We've sent your password reset email - please check you inbox. Welcome to ChatLogix By using our products and services, you're agreeing to our terms, so please take a few minutes to read over the User Agreement below. Chatlogix is a platform that organizations use to create, deploy and manage AI-Enabled conversational applications that are used to communicate with individuals via popular messaging applications. Our mission is to enable organizations to more easily commuicate with individuals. Our services are designed to promote economic opportunity for our clients and the individuals who use their services by enabling the sharing of knowledge, exchange of information and low-friction communication between consumers and businesses. You're eligible to enter into this Agreement and you are at least our “Minimum Age.” To use the Services, you agree that: (1) you must be the “Minimum Age” (defined below) or older; (2) you will only have one ChatLogix account, which must be in your real name; and (3) you are not already restricted by ChatLogix from using the Services. “Minimum Age” means (a) 18 years old for the People's Republic of China, (b) 16 years old for the Netherlands, (c) 14 years old for the United States, Canada, Germany, Spain, Australia and South Korea, and (d) 13 years old for all other countries. However, if law requires that you must be older in order for ChatLogix to lawfully provide the Services to you (including the collection, storage and use of your information) then the Minimum Age is such older age. The Services are not for use by anyone under the age of 13. You will not share an account with anyone else and will follow our rules and the law. As between you and others, your account belongs to you. You agree to: (1) try to choose a strong and secure password; (2) keep your password secure and confidential; (3) not transfer any part of your account (e.g., connections, groups) and (4) follow the law and the Dos and Don'ts below. You are responsible for anything that happens through your account unless you close it or report misuse. You'll honor your payment obligations and you consent to us storing your payment information. Also, there may be fees and taxes that are added to our prices. We don't guarantee refunds. If you purchase any of our paid Services (“Premium Services”), you agree to pay us the applicable fees and taxes.Failure to pay these fees may result in the termination of your subscription. Your purchase may be subject to foreign exchange fees or differences in prices based on location (e.g. exchange rates). You authorize us to store and continue billing your payment method (e.g. credit card) even after it has expired, to avoid interruptions in your service (e.g. subscriptions) and to facilitate easy payment for new services. You must pay us for applicable fees and taxes unless you cancel the Premium Service, in which case you agree to still pay these fees through the end of the applicable subscription period. Learn how to cancel or change your Premium Services and read about ChatLogix's refund policy. Taxes are calculated based on the billing information that you provide us at the time of purchase. You can get a copy of your ChatLogix invoice through your account settings under “Purchase History”. If the contact information you provide isn't up to date, you may miss out on these notices. You agree that we may provide notices to you in the following ways: (1) a banner notice on the Service, or (2) an email sent to an address you provided, or (3) through other means including mobile number, telephone, or mail. You agree to keep your contact information up to date. Please review your ChatLogix.com settings to control and limit what kind of messages you receive from us. When you share information, others can see, copy and use that information. Our Services allow messaging and sharing of information in many ways, such as your profile, slide deck, links to news articles, job postings, InMails and blogs. Information and content that you share or post may be seen by other Members or, if public, by Visitors. Where we have made settings available, we will honor the choices you make about who can see content or information (e.g., sharing to a group instead of your network, changing the default setting for SlideShare content from public to a more restricted view, limiting your profile visibility, or not letting people know when you change your profile, make recommendations or follow companies). Note that other activities, such as applying for a job or sending an InMail, are by default private, only visible to the addressee(s). We are not obligated to publish any information or content on our Service and can remove it in our sole discretion, with or without notice. You own all of the content, feedback, and personal information you provide to us, but you also grant us a non-exclusive license to it. We'll honor the choices you make about who gets to see your information and content. You promise to only provide information and content that you have the right to share, and that your ChatLogix profile will be truthful. By submitting suggestions or other feedback regarding our Services to ChatLogix, you agree that ChatLogix can use and share (but does not have to) such feedback for any purpose without compensation to you. You agree to only provide content or information if that does not violate the law nor anyone's rights (e.g., without violating any intellectual property rights or breaching a contract). You also agree that your profile information will be truthful. ChatLogix may be required by law to remove certain information or content in certain countries. We may change or discontinue any of our Services. We can't promise to store or keep showing any information and content you've posted. We may change, suspend or end any Service, or change and modify prices prospectively in our discretion. To the extent allowed under law, these changes may be effective upon notice provided to you. When you see or use others' content and information posted on our Services, it's at your own risk. Third parties may offer their own products and services through ChatLogix, and we aren't responsible for those third-party activities. By using the Services, you may encounter content or information that might be inaccurate, incomplete, delayed, misleading, illegal, offensive or otherwise harmful. ChatLogix generally does not review content provided by our Members. You agree that we are not responsible for third parties' (including other Members') content or information or for any damages as result of your use of or reliance on it. ChatLogix reserves the right to limit your use of the Services, including your ability to contact other Members. ChatLogix reserves the right to restrict, suspend, or terminate your account if ChatLogix believes that you may be in breach of this Agreement or law or are misusing the Services. ChatLogix reserves all of its intellectual property rights in the Services. Other trademarks and logos used in connection with the Services may be the trademarks of their respective owners. This is our disclaimer of legal liability for the quality, safety, or reliability of our Services. TO THE EXTENT ALLOWED UNDER LAW, ChatLogix (AND THOSE THAT ChatLogix WORKS WITH TO PROVIDE THE SERVICES) (A) DISCLAIM ALL IMPLIED WARRANTIES AND REPRESENTATIONS (E.G. WARRANTIES OF MERCHANTABILITY, FITNESS FOR A PARTICULAR PURPOSE, ACCURACY OF DATA, AND NONINFRINGEMENT); (B) DO NOT GUARANTEE THAT THE SERVICES WILL FUNCTION WITHOUT INTERRUPTION OR ERRORS, AND (C) PROVIDE THE SERVICE (INCLUDING CONTENT AND INFORMATION) ON AN “AS IS” AND “AS AVAILABLE” BASIS. SOME LAWS DO NOT ALLOW CERTAIN DISCLAIMERS, SO SOME OR ALL OF THESE DISCLAIMERS MAY NOT APPLY TO YOU. These are the limits of legal liability we may have to you. TO THE EXTENT PERMITTED UNDER LAW (AND UNLESS ChatLogix HAS ENTERED INTO A SEPARATE WRITTEN AGREEMENT THAT SUPERSEDES THIS AGREEMENT), ChatLogix (AND THOSE THAT ChatLogix WORKS WITH TO PROVIDE THE SERVICES) SHALL NOT BE LIABLE TO YOU OR OTHERS FOR ANY INDIRECT, INCIDENTAL, SPECIAL, CONSEQUENTIAL OR PUNITIVE DAMAGES, OR ANY LOSS OF DATA, OPPORTUNITIES, REPUTATION, PROFITS OR REVENUES, RELATED TO THE SERVICES (E.G. OFFENSIVE OR DEFAMATORY STATEMENTS, DOWN TIME OR LOSS, USE OR CHANGES TO YOUR INFORMATION OR CONTENT). IN NO EVENT SHALL THE LIABILITY OF ChatLogix (AND THOSE THAT ChatLogix WORKS WITH TO PROVIDE THE SERVICES) EXCEED, IN THE AGGREGATE FOR ALL CLAIMS, AN AMOUNT THAT IS THE LESSER OF (A) FIVE TIMES THE MOST RECENT MONTHLY OR YEARLY FEE THAT YOU PAID FOR A PREMIUM SERVICE, IF ANY, OR (B) US $1000. THIS LIMITATION OF LIABILITY IS PART OF THE BASIS OF THE BARGAIN BETWEEN YOU AND ChatLogix AND SHALL APPLY TO ALL CLAIMS OF LIABILITY (E.G. WARRANTY, TORT, NEGLIGENCE, CONTRACT, LAW) AND EVEN IF ChatLogix HAS BEEN TOLD OF THE POSSIBILITY OF ANY SUCH DAMAGE, AND EVEN IF THESE REMEDIES FAIL THEIR ESSENTIAL PURPOSE. SOME LAWS DO NOT ALLOW THE LIMITATION OR EXCLUSION OF LIABILITY, SO THESE LIMITS MAY NOT APPLY TO YOU. Our rights to use and disclose your feedback; Members' and/or Visitors' rights to further re-share content and information you shared through the Service to the extent copied or re-shared prior to termination; Sections 4, 6 and 7 of this Agreement; Any amounts owed by either party prior to termination remain owed after termination. In the unlikely event we end up in a legal dispute, it will take place in District of Columbia courts, applying District of Columbia law. You agree that the laws of the District of Columbia, U.S.A., excluding its conflict of laws rules, shall exclusively govern any dispute relating to this Agreement and/or the Services. We both agree that all of these claims can only be litigated in the federal or state courts of District of Columbia, USA, and we each agree to personal jurisdiction in those courts. Here are some important details about how to read the Agreement. If a court with authority over this Agreement finds any part of it not enforceable, you and us agree that the court should modify the terms to make that part enforceable while still achieving its intent. If the court cannot do that, you and us agree to ask the court to remove that unenforceable part and still enforce the rest of this Agreement. To the extent allowed by law, the English version of this Agreement is binding and other translations are for convenience only. This Agreement (including additional terms that may be provided by us when you engage with a feature of the Services) is the only agreement between us regarding the Services and supersedes all prior agreements for the Services. If we don't act to enforce a breach of this Agreement, that does not mean that ChatLogix has waived its right to enforce this Agreement. You may not assign or transfer this Agreement (or your membership or use of Services) to anyone without our consent. However, you agree that ChatLogix may assign this Agreement to its affiliates or a party that buys it without your consent. There are no third party beneficiaries to this Agreement. We reserve the right to change the terms of this Agreement and will provide you notice if we do and we agree that changes cannot be retroactive. If you don't agree to these changes, you must stop using the Services. You agree that the only way to provide us legal notice is at the addresses provided in Section 10.
e require that information posted by Members be accurate and not in violation of the intellectual property rights or other rights of third parties. We provide a policy and process for complaints concerning content posted by our Members. Please see contact information in Section 10 for any complaints. ChatLogix.com websites (collectively “ChatLogix” in this document) refer to sites hosted on the ChatLogix.com and other related domains and subdomains thereof. ChatLogix collects non-personally-identifying information of the sort that web browsers and servers typically make available, such as the browser type, language preference, referring site, and the date and time of each visitor request. ChatLogix’s purpose in collecting non-personally identifying information is to better understand how ChatLogix’s visitors use the content hosted on ChatLogix properties. From time to time, ChatLogix may release non-personally-identifying information in the aggregate to help our users understand the ChatLogix user base. For example, by publishing a report on trends in the usage of its website. ChatLogix also collects Internet Protocol (IP) which could potentially be used to determine a user's identity. ChatLogix does not use such information to identify its visitors, however, and does not disclose such information, other than under the same circumstances that it uses and discloses personally-identifying information, as described below. Certain visitors to ChatLogix choose to to provide personally-identifying information as part of normal interactions with the platform. The amount and type of information that ChatLogix gathers depends on the nature of the interaction. For example, we ask registered users to enter their name and email address. ChatLogix collects only information that is necessary or appropriate to fulfill the purpose of the visitor’s interaction with ChatLogix. ChatLogix does not disclose personally-identifying information other than as described below. And visitors can always refuse to supply personally-identifying information, with the caveat that it may prevent them from engaging in certain website-related activities. ChatLogix collects informationabout the behavior of visitors to its websites. For example, ChatLogix may reveal how many views a particular course received, or list what courses and content are most popular or highest rated. However, ChatLogix does not disclose personally-identifying information other than as described below. ChatLogix discloses potentially personally-identifying and personally-identifying information only to those of its employees, contractors, and affiliated organizations that (i) need to know that information in order to process it on ChatLogix’s behalf or to provide services available at ChatLogix, and (ii) that have agreed not to disclose it to others. Some of those employees, contractors and affiliated organizations may be located outside of your home country; by using ChatLogix, you consent to the transfer of such information to them. ChatLogix will not rent or sell potentially personally-identifying and personally-identifying information to anyone. Other than to its employees, contractors, and affiliated organizations, as described above, ChatLogix discloses potentially personally-identifying and personally-identifying information only when required to do so by law, or when ChatLogix believes in good faith that disclosure is reasonably necessary to protect the property or rights of ChatLogix, third parties, or the public at large. If you are a registered user of a ChatLogix website and have supplied your email address, ChatLogix may occasionally send you an email to tell you about new features, solicit your feedback, or just keep you up to date with what’s going on with ChatLogix and our products. We primarily use our blog to communicate this type of information, so we expect to keep this type of email to a minimum. If you send us a request (for example via a support email or via one of our feedback mechanisms), we reserve the right to publish it in order to help us clarify or respond to your request or to help us support other users. ChatLogix takes all measures reasonably necessary to protect against the unauthorized access, use, alteration, or destruction of potentially personally-identifying and personally-identifying information.